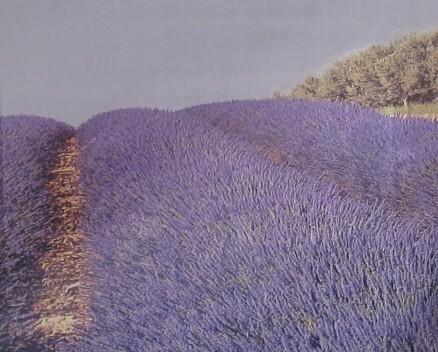 An intense scent of lavender perfumed the air. It was the French market in Eschwege, and it was a good opportunity to stock up on lavender soap, lavender bunches, lavender sachets, and lavender oil. 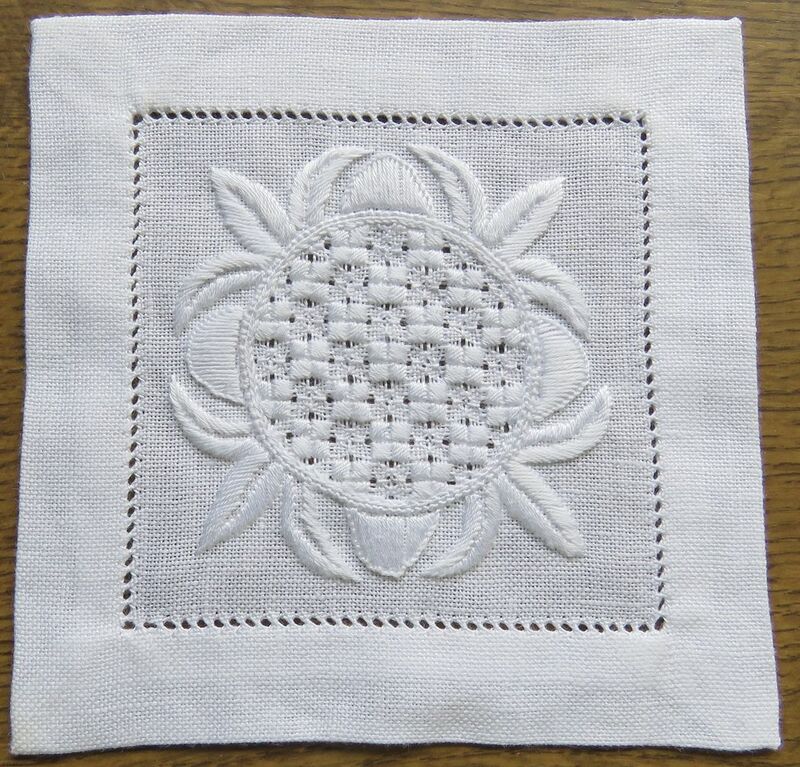 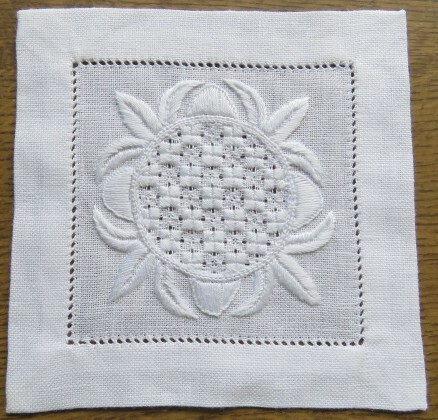 For a long time I had in mind to work a lavender sachet with a Schwalm motif. 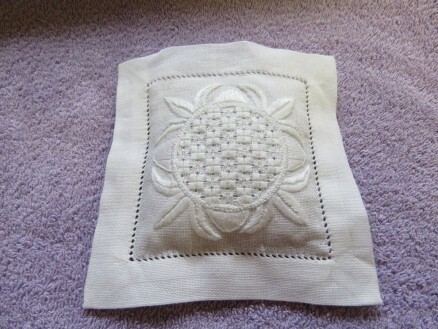 I used my small doily as the front. 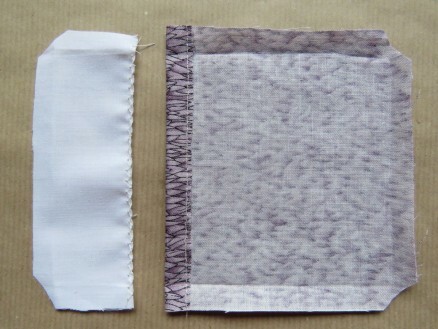 And I looked for both a piece of thin, white cotton fabric and a piece of cotton, print fabric that would match lavender. 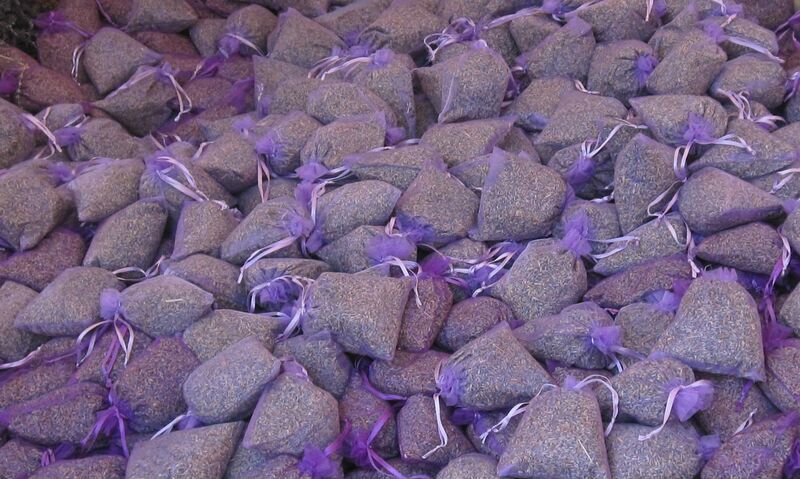 To be able to change the exhausted lavender later, I thought to make the sachet like a pillow cover. 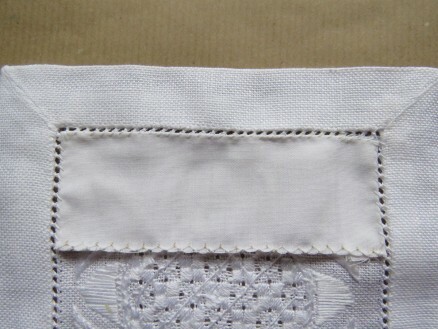 Inside the hem my doily measures 9.5 cm X 9.5 cm. So I cut the white fabric to measure 11.5 cm X 4 cm and the print fabric to measure 11.5 cm X 11.5 cm. 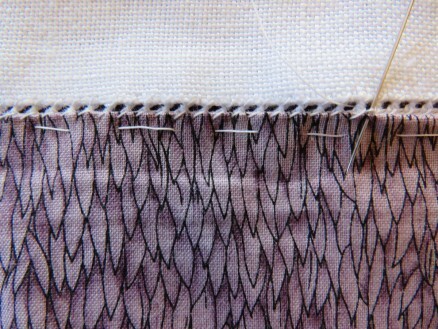 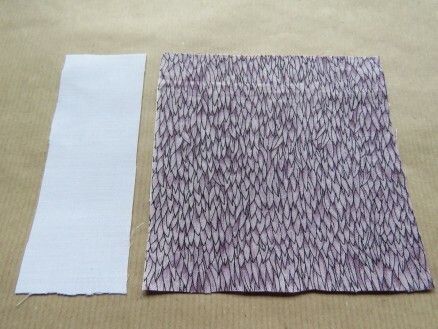 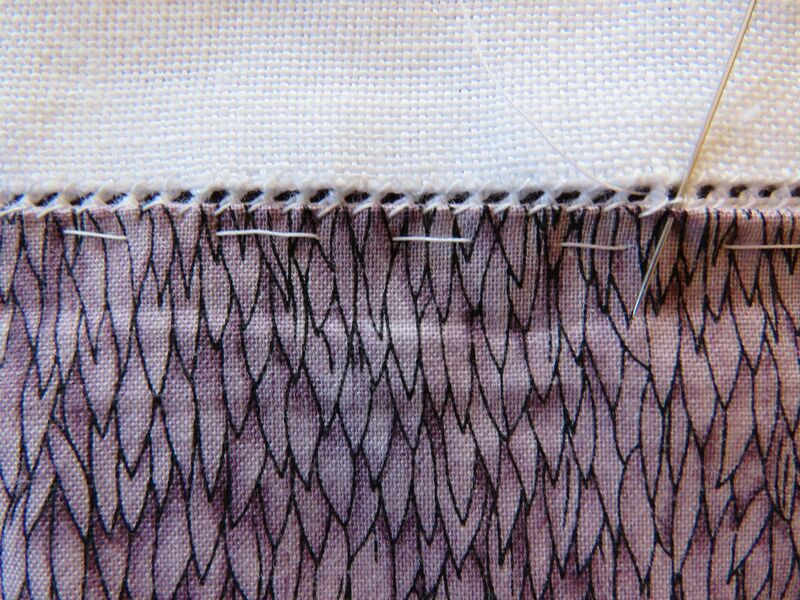 One long edge of the white fabric is finished with zig-zag stitches, and the other three edges are folded in 1 cm. 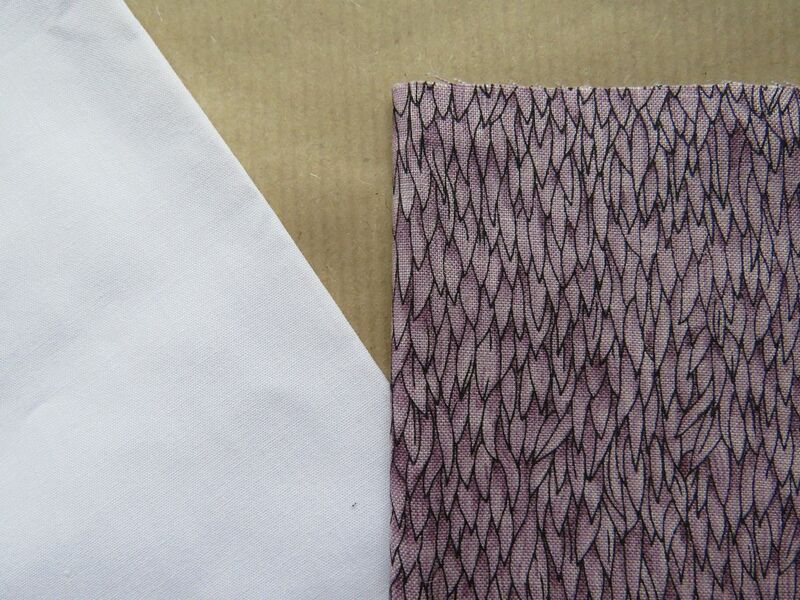 All edges of the print fabric are folded in 1 cm, with one edge secured with hand or machine stitches. So that later the lavender inlay will not slip out easily, I sew the white piece to the back of my doily. 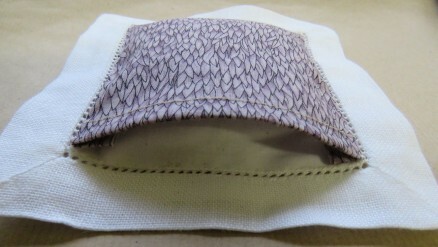 This piece will keep the lavender pillow in place. 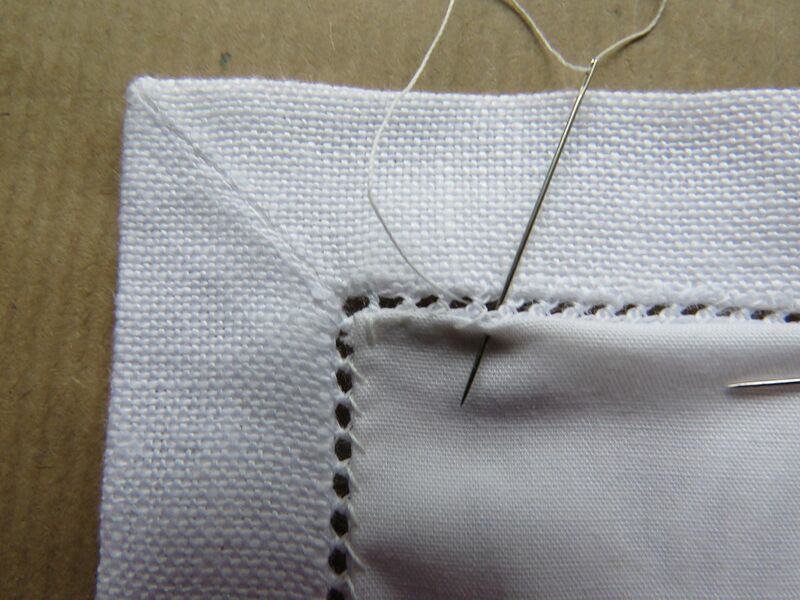 To keep the holes of the hem nicely opened, hem stitches are used. 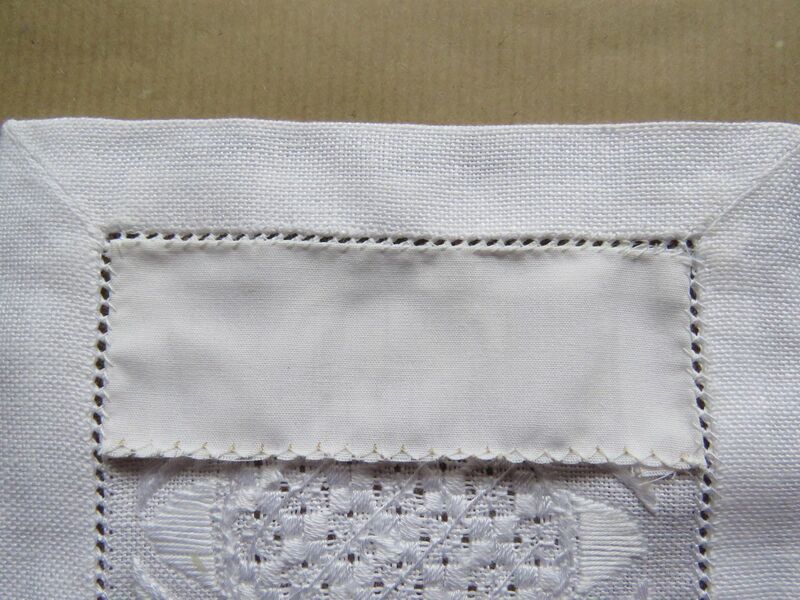 The square of the print fabric is placed on the back with the stitched edge on top of the white inlay. It is sewn, also using hem stitches, to the remaining three sides. 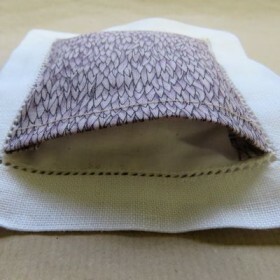 The lavender pillow is tucked up and under the white flap. 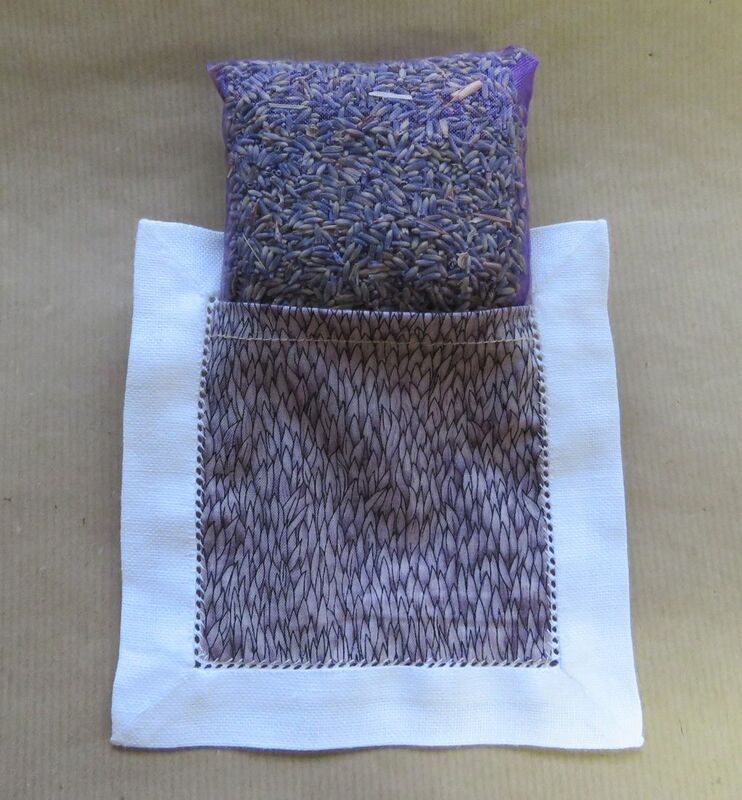 A nice lavender sachet is finished. 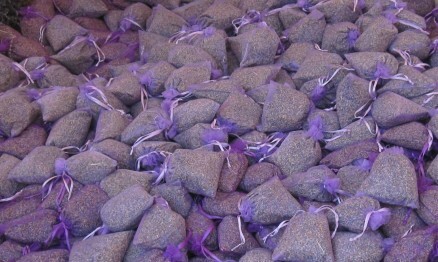 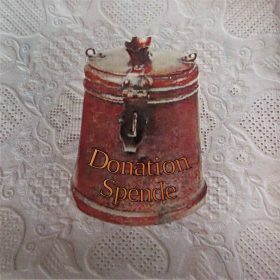 Enjoy it for yourself, or give it as a small keepsake gift.